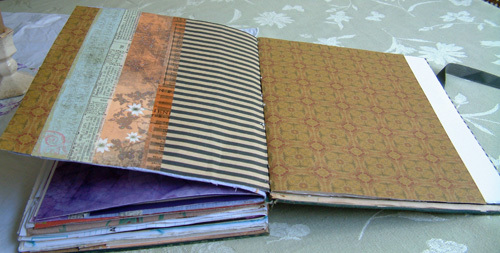 This is my first Full Tilt Boogie journal, a class I'm taking from Mary Ann Moss. 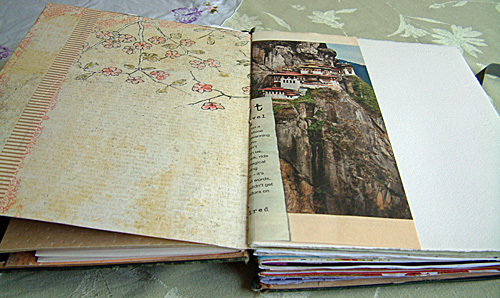 Being not quite ready to cut apart a vintage photo album, I cut apart a book Mum had passed along from a friend. "Great Thoughts from Master Minds". I thought this was a perfect title for my journal. 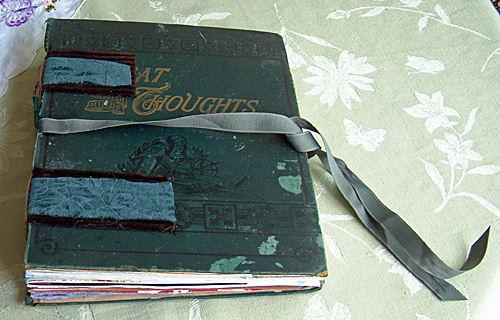 Unfortunately, I couldn't quite get the binding to not cover "Great" so it's "At Thoughts..."
The "tapes" are velvet brown corduroy with green velvet on top. The center ribbon is some moss greenish grosgrain (I think it is called). I am in my last signature of the art journal I learned out to make in Suzi's "A Lovely Dream" class, which will probably get me through to the end of the year. 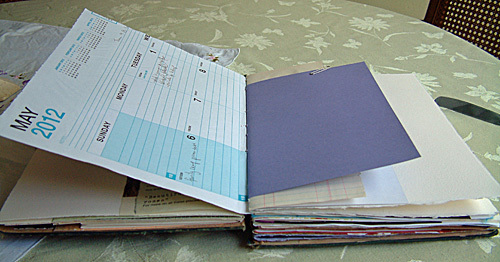 I plan to use this journal to document my taking part in the "Inner Excavate Along" with Lisa Lamoreaux, which I will start on next week (being only a week behind in it). She's doing this for free on her blog. The "remains of the Day" page style look great in your FTB book, and I love how you used your St. Philomena medal to help solve your loose bindidng problem. 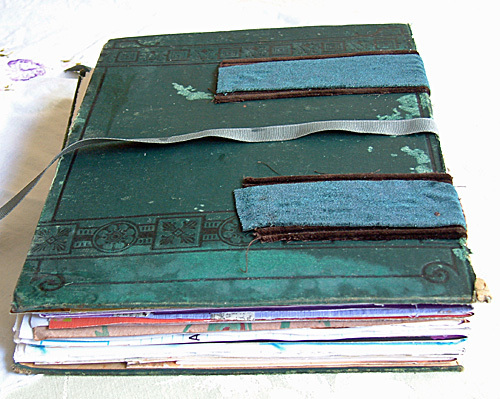 Terrific Journal you made! Ohhhh.....jealous here! Haven't actually had time to finish one! Thanks for letting us peek! Awesome! I love all the fun papers used. 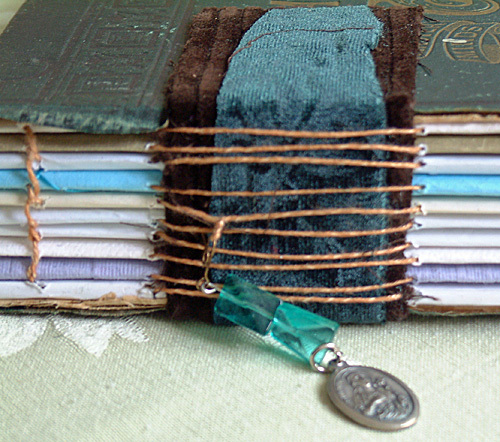 Love your FTB journal. Great job! !